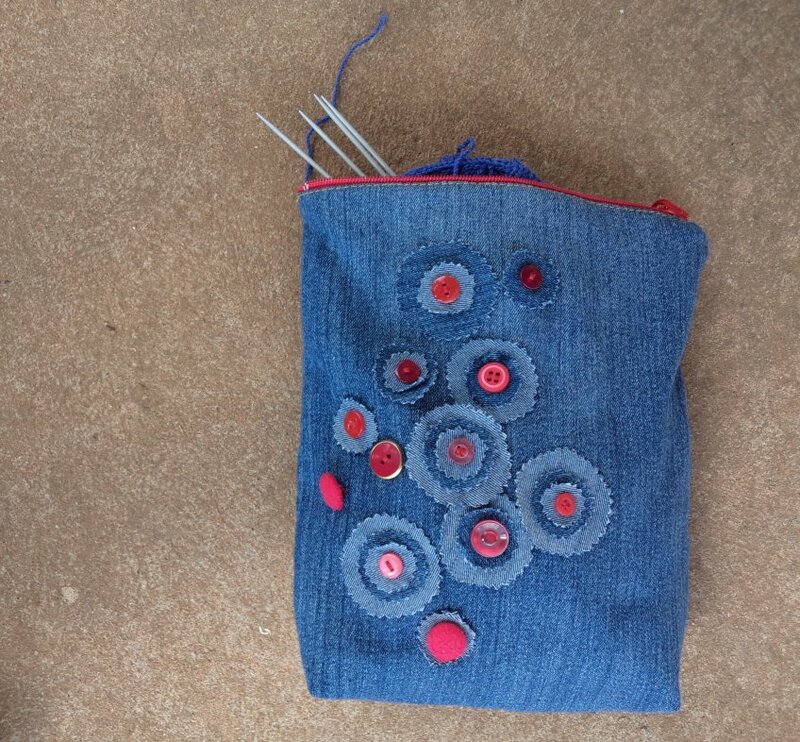 The Jeans Recycling Challenge: Transform a torn pair of jeans into something useful, re-using every part of the jeans. I began last week with a pair of old maternity jeans that have a tear in the seat. Item one: a jeans handbag made from the seat and half a leg. Really happy with how it turned out. 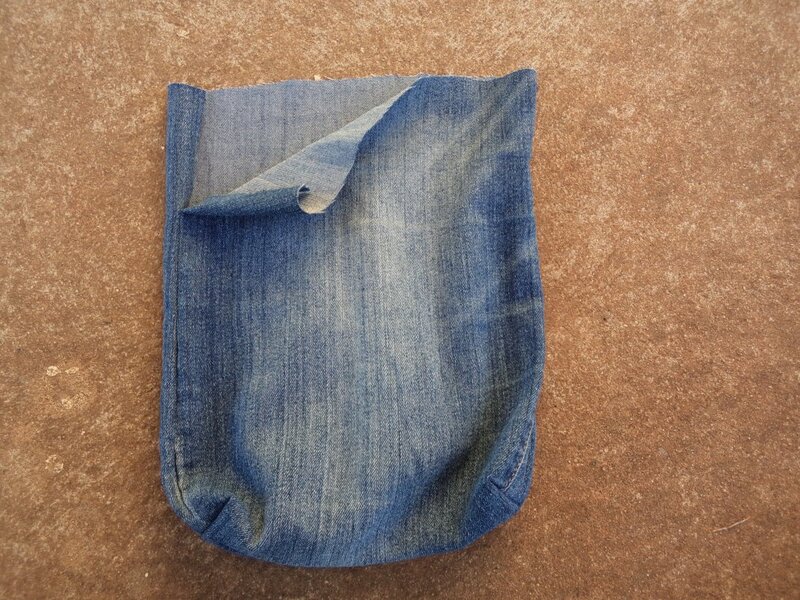 If I were to make another one, I would consider a bag with a long single strap, or a backpack. 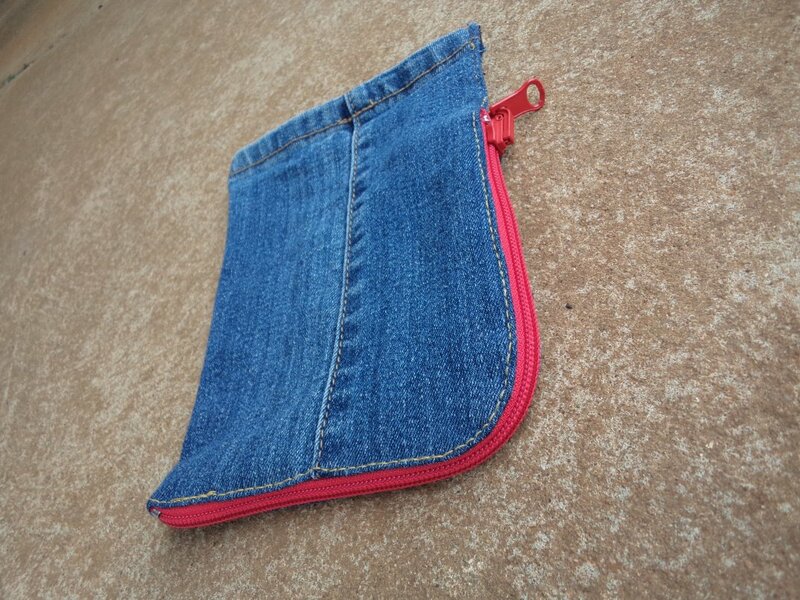 Item two: From the thigh I cut two rectangles 9.5″x11.5″ and made a zippered bag, lined with kitchen curtain fabric. If you like knitting socks, this is a great sized bag for sock projects. Previously I’ve made this size bag, lined but zipless, to hold one nappy, a small container of wipes and a spare baby jumpsuit, or a change of clothes for a toddler. The plain bag looked rather boring. 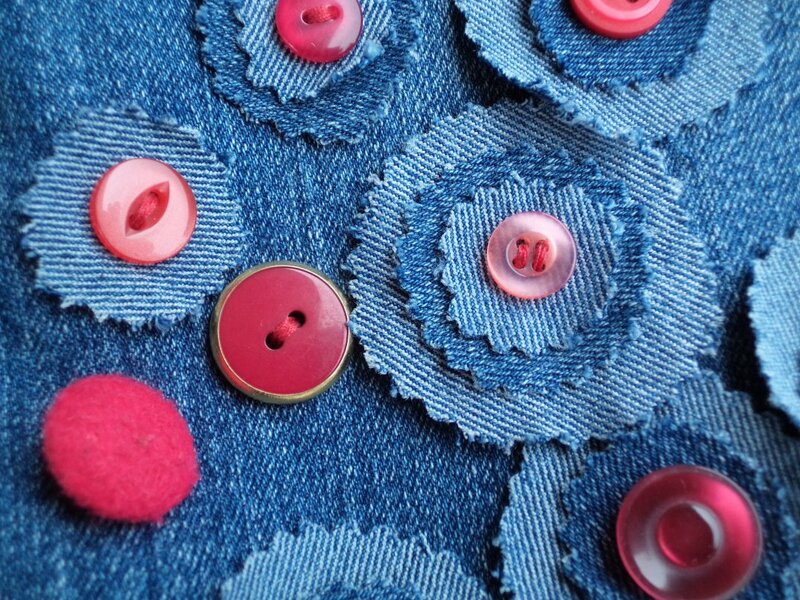 I added pinked circles from some of the scraps, although this didn’t use up as much scrap as I would have liked. They were sewn on with red buttons -we went through the button jar and took all the red ones. Item three: slippers that are like ballet shoes. Didn’t want to make all bags. I haven’t finished these yet. Item four: another bag. I know I said I didn’t want lots of bags, but there was an end of a leg that was just perfect. It’s unlined. What could it be used for? 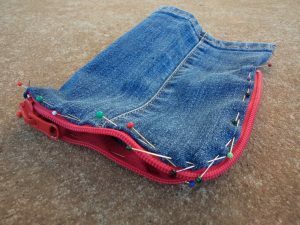 A mini first aid kit for the car, sewing kit, or a pencil case for marker pens. I won’t pretend the corner of the zip was easy to sew because it was a real dog. Just took it one stitch at a time. 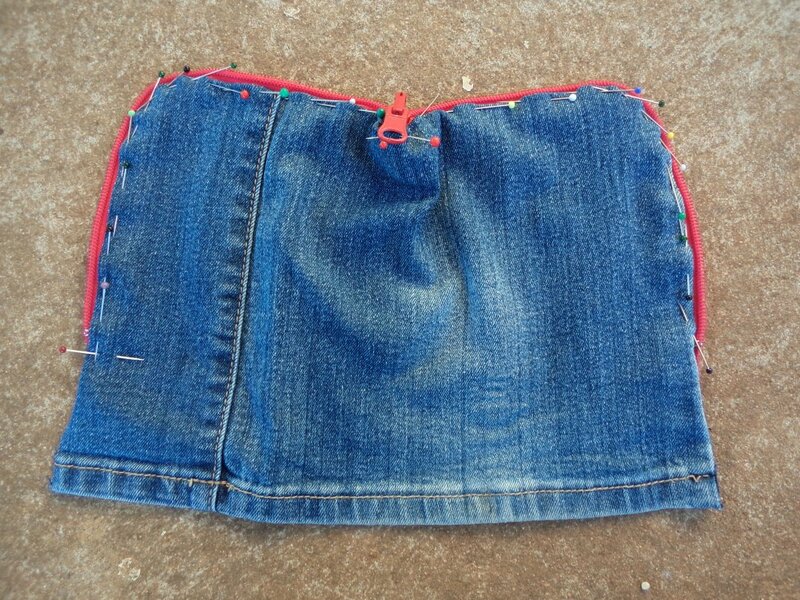 I pinned and sewed the zip on flat before sewing any seams. Even before this bag was finished, everyone at home asked for it to be theirs. Item five: sports briefs. Remember these were maternity jeans? 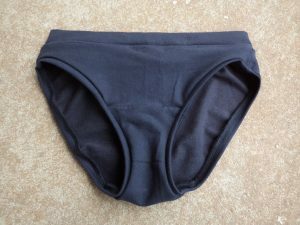 I unpicked the belly band and just managed to fit a pair of sports briefs out of it. If only I played sport. 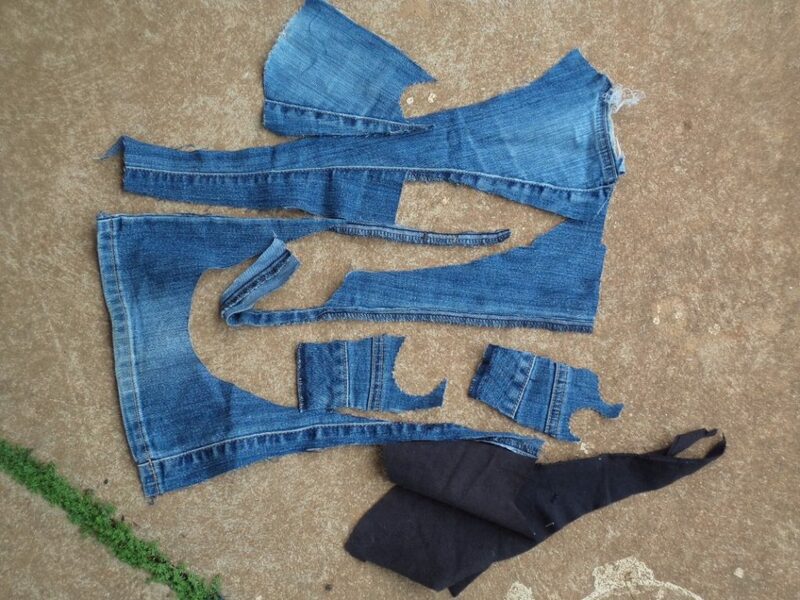 I haven’t quite finished the jeans recycling challenge yet. 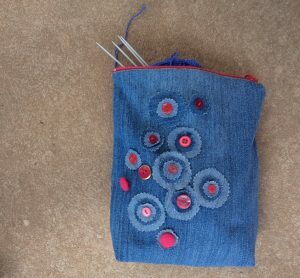 I still have the slippers to sew, and some small scraps left to think of what to do with. Join me next time! I love the flowers. 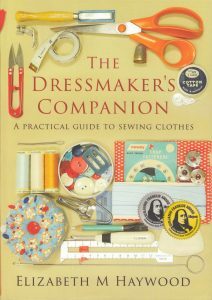 Very useful for decorating hats etc. 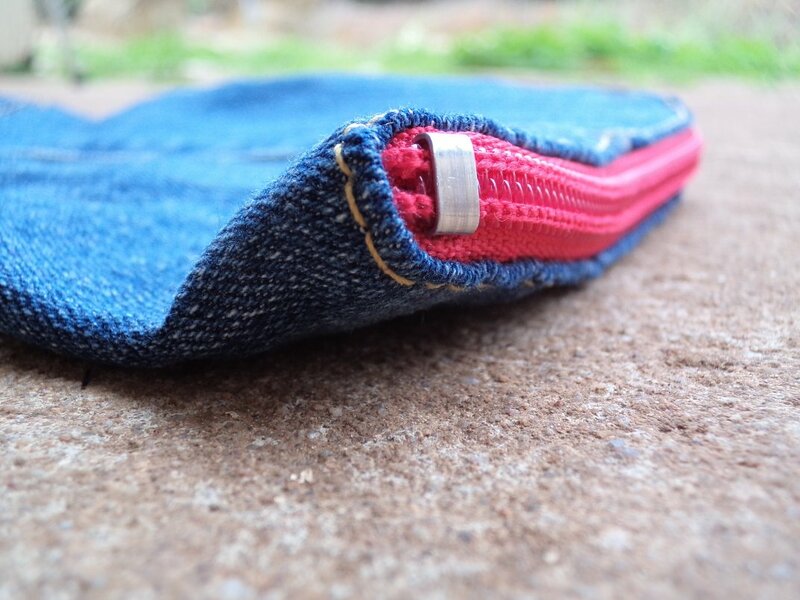 The bag with the red zip. No for me! I do not like zips. That bit could have made a great potholder. 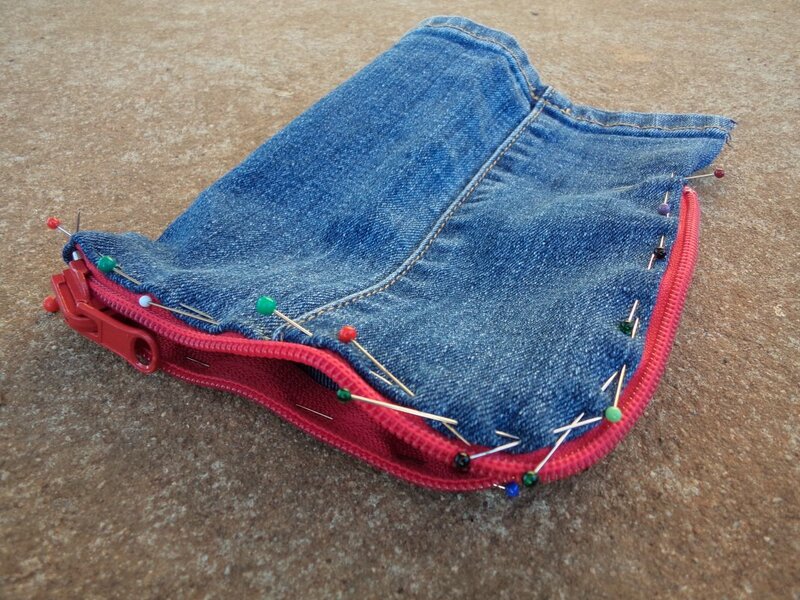 Hi Kay, I never thought of potholders. Thanks for the idea (for next time!?). 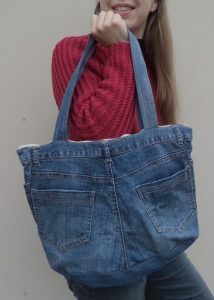 I love your idea of recycling with unused denim. A lot of women have extra pairs of jeans that we don’t wear but can’t get rid of. I have thought of remaking using old denim into something myself but always got distracted by other things and put it off. It is always a issue for me to work on Jean fabric because of the thickness but I love the ways that you made into useful bags and cases etc. 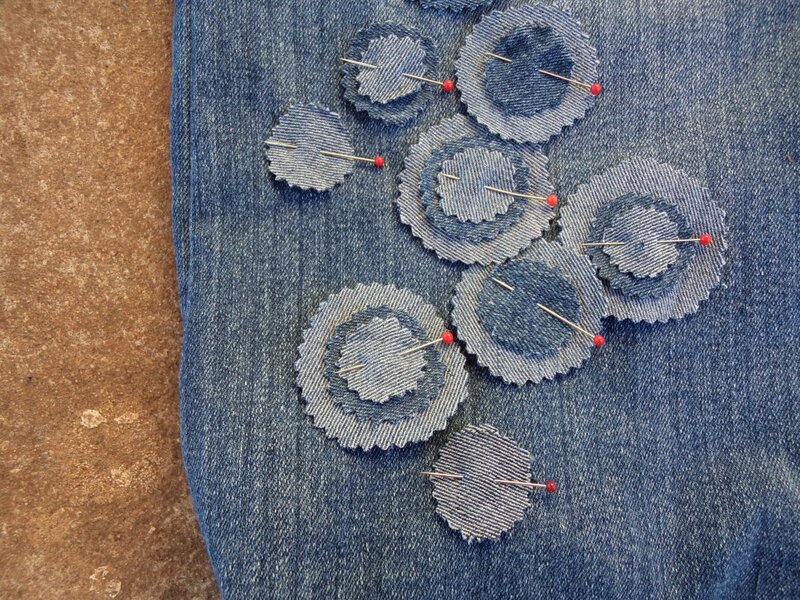 Good luck with your other attempt with denim! 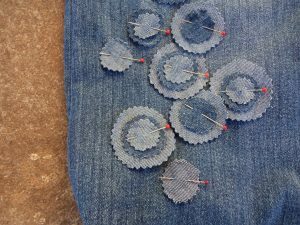 I have a great amount of affection for old denim -love the stitching, the seams, the details -and thought of lots more ideas once I’d already cut up this pair. The thickness issue wasn’t as bad as I thought, maybe because the jean were old and well-washed. Used a size 16 or 18 needle throughout. Where can you get a needle size 16 or 18? The biggeste size I can find is 100. 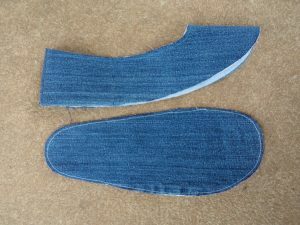 Size 16 is the same as 100, and fine for most denims. Size 18s are harder to find but sometimes sewing machine shops sell them.